“I’ve had the pleasure of climbing and skiing with Mike Stuart of Canadian Alpine Guides many times over the last few years. Whether it’s some of the classic Rockies ice lines such as Polar Circus or Hydrophobia, or grand alpine lines like East Ridge of Mount Temple, the North East Ridge of Bugaboo Spire or the North Face of Athabasca, we’ve had a blast together every time out! 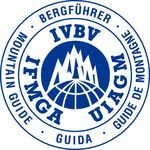 “An ideal mountain guide should have the objective of providing the client with the best possible mountain experience in the compressed time usually available to business people and professionals seeking the challenge of climbing. Mike Stuart is that ideal mountain guide. Over the past 25 years of climbing trips to Western Canada, I have found Mike to be one of the most exceptional of mountain guides: not just in the sense of outstanding judgment in navigating through mountain conditions and terrain, but also in his strong motivation to encourage the client to achieve his/her personal objectives within the bounds of safety at all times.